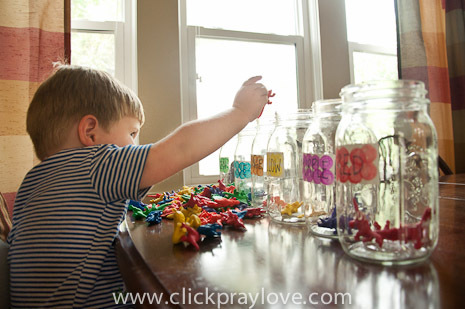 B picked up on his colors very quickly, so it is fun to do activities with him that involve naming and sorting colors. However, I have to remind myself that it is okay if he wants to simply play versus sorting them perfectly. 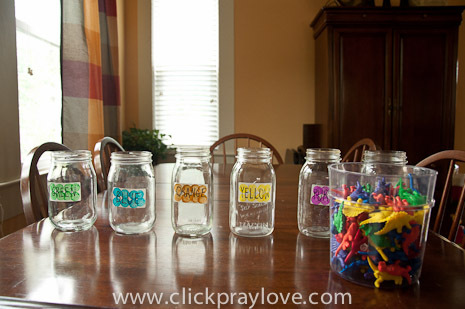 The idea is to encourage color recognition along with sorting those colors into the appropriate containers. Sorry to state the obvious, but DO NOT LEAVE YOUR CHILDREN UNATTENDED during this activity. You know your child, so use common sense and do not give him/her small objects that he/she can not play with appropriately (i.e. put in mouth, throw, etc.). I am fortunate that my 2 year old rarely puts objects in his mouth, but I realize some children are not safe with small objects until 3+. You know what your child can and can not do, so don't complete this activity unless you know he/she is able to do so safely and under supervision. 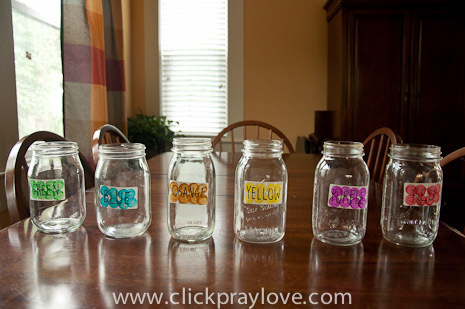 I used Do-A-Dot Paint to color the labels and wrote the name of each color with a Sharpie before placing each label in the center of the container. Before beginning I pointed to each label and asked B to name the color. 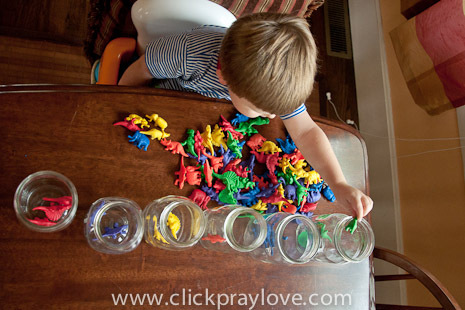 Then, I encouraged him to sort correctly by asking if he could find a blue dinosaur and place it in the blue container. 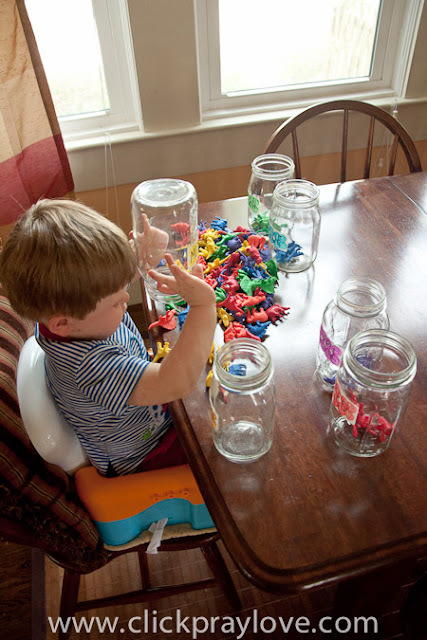 At 2 years old (which is the age of my son), I think it is unreasonable to expect your child to sort correctly for more than 5 minutes. 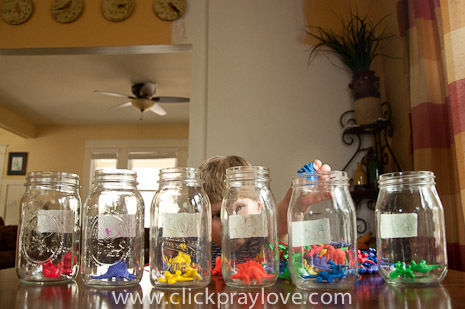 When he/she begins to toss any and every color into any/every jar....GO WITH THE FLOW. Allow them to play for a while, but make a game out of it. 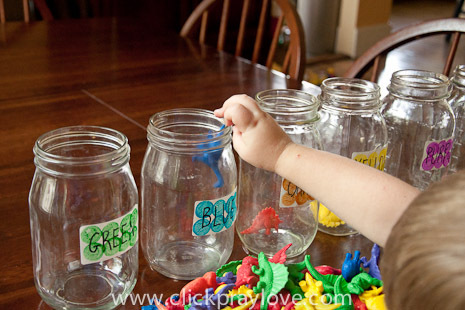 When B would put a red dino in the green jar, I would say something like, "You are so silly. I guess you can't find the red jar," and then I would pick it up and hide it behind my back. 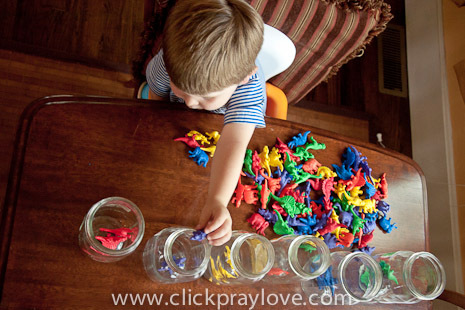 If your child does not know their colors yet, help them by repeating the color over and over again while holding the dino. Then, point to the correct container before putting it in. I also like to challenge B to fill up the container with all of the correct color dino's as fast as he can. Then, when they've had enough sorting and identifying, let them have fun with their FREE PLAY. 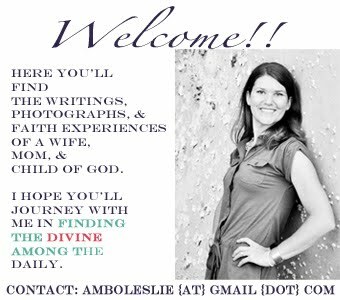 thank you -- just what we needed!